Be an expert. From routine applications to sophisticated new technologies, in-person training courses are the best way to develop your skills and expand your repertoire. Courses are held at our MACS® Academy training centers in Germany, United Kingdom, and USA. With small class sizes, practical working sessions, and purpose-designed laboratories, you can quickly and effectively learn new skills and technologies. You also get to meet colleagues from all over the world, in a learning environment that is inspiring, collaborative, and interactive. On completion of the course, you will be well-equipped to employ new technologies and perform new applications. 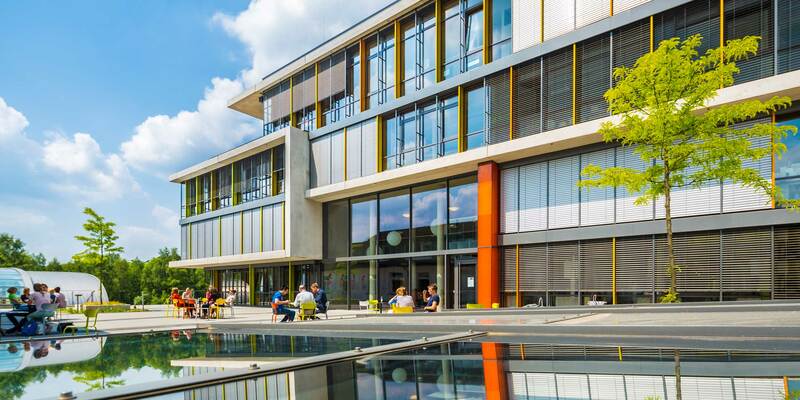 Located within a forest, our campus is easily accessible from the Cologne airport as well as Cologne city center. 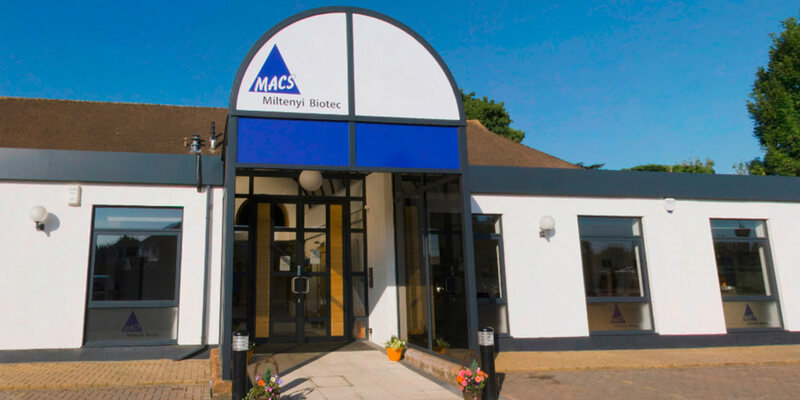 MACS Academy at Miltenyi Biotec Ltd.
Our UK subsidiary is situated in the Surrey village of Bisley. Ideally situated, our colleagues in Bisley are able to assist our customers throughout the UK and Europe. 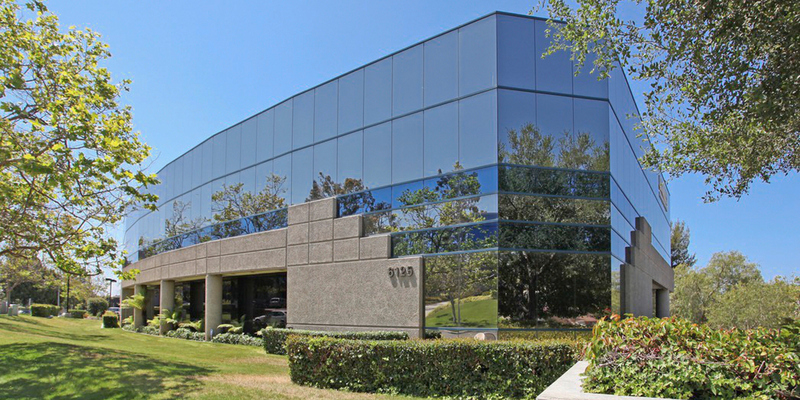 MACS Academy at Miltenyi Biotec Inc.
Our San Diego office is positioned in one of the most influential biotech, pharma, and life sciences hubs in the world. All training courses and services are subject to MACS Academy Booking Terms. Miltenyi Biotec training courses are provided by MACS Academy. Registration for a face-to-face training course is requested online through the webpage www.miltenyibiotec.com/training. A registration confirmation is sent to the registrant by e-mail. Registration in a course holds a space for the participant. An order for the course at your local Customer Service/Orderdesk is required for final booking and participation. Both registration and course order must be submitted prior to the course registration deadline for participants to be included in the course. In accordance with applicable health and safety regulations, Miltenyi Biotec does not permit attendees to participate in training programs involving practical laboratory sessions during pregnancy and lactation at MACS Academy Germany. Cancellations* of a training order received at least 30 days prior to the class start date will receive a credit for the course. Customers who cancel later than 30 days before the class receive a credit of 50% of the training fees. A cancellation later than 14 days before the class or non-attendance will result in full billing. Rescheduling into another training session is possible until 30 days prior to the class start date. Transfer of the training booking to another attendee is free of charge. *For courses at MACS Academy – San Diego, which includes travel costs in the training order, cancellations made prior to any travel booking will receive a credit for the course or allow a transfer of the training booking to another attendee. Cancellations made after any travel bookings will receive a credit for the original attendee to book a different date for the same course within one year of cancellation. There will be no refunds or transfers after travel booking has been confirmed for a course. Miltenyi Biotec may cancel courses if minimum enrollment is not met or other circumstances force course cancellation. If a course is cancelled, Miltenyi Biotec provides an alternative date for the course or a credit to those that have ordered the training. In most cases, Miltenyi Biotec will notify registrants 21 days prior to the start of class of a course cancellation. Customers agree that Miltenyi Biotec will not be liable for any expenses or fees incurred by customers due to such cancellation. Accordingly, the purchase of non-refundable airline tickets is not recommended. All prices listed on this website are subject to change without notice. Prices do not include value-added or similar taxes. When training is included as part of an instrument or other product order, or when customers choose to pay for the training course with a purchase order, this purchase order number should be filled in at the time of the online registration. Customers in US and Canada have to additionally provide a purchase order document to Miltenyi Biotec Inc. Orderdesk for booking of face-to-face training. Customers will receive an invoice at the point of course order, course confirmation, or after the course has been completed. Refer to standard Terms and Conditions for payment terms. Training courses are performed according to schedule and description. Content, particularly updated information, as well as location, time and presenter are subject to change. Each participant receives training documentation and materials (course materials) in different media. Customer and participant(s) acknowledge that the course materials are proprietary and confidential to Miltenyi Biotec, its subsidiaries or distributors, and are protected by international laws of copyright and agree not to copy, modify, or merge the course materials, in whole or in part, or create derivatives thereof and agree not to remove any proprietary, copyright, trade secret or warning legend from the course materials. Any audio or video recording of the training course and the presentations is not permitted. Laboratory equipment, materials, and reagents are provided for courses at a Miltenyi Biotec MACS Academy. Participants will receive a course certificate after training course completion. Training courses at a Miltenyi Biotec MACS Academy can include hotel accommodation as specified for the specific training course. Additional nights can be booked directly at the hotel if available. If hotel accommodation is not required, this should be indicated in the comment field of the registration form. Accommodation of the participant in the training hotel can be guaranteed for training bookings 30 days prior to the training start only. Travel expenses of training participants travelling to and from a Miltenyi Biotec MACS Academy are not included except for specified courses for US and Canadian customers booked at MACS Academy Auburn, CA or San Diego, CA. Where travel expenses are included, some restrictions may apply. Shuttle services between hotel and MACS Academy training facilities are included only for attendees accommodated at the training hotel. Hotel accommodation includes breakfast. Lunch, coffee, tea, soft drinks and snacks are provided each training day at the training facility. Special requirements, like vegetarian diet or wheelchair access, should be indicated in the comment field of the registration form. Each trainee is responsible for all own additional expenses and costs incurred. Miltenyi Biotec GmbH and its subsidiaries sell their goods and provide their services subject to their respective terms and conditions. Additionally, general legal notes of Miltenyi Biotec apply. Legal notes may be updated frequently. Please revisit this section from time to time in order to become aware of such changes.